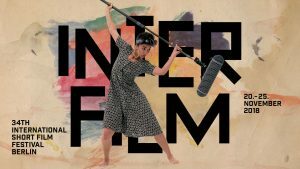 Our next performance will be on Nov 22nd at the Volksbuehne Berlin as part of the 2018 Berlin Interfilm festival. We had a fantastic summer with performances at Somewhere in the distance followed by Krake festival Berlin and after a brief break to work on other projects we are back at it! 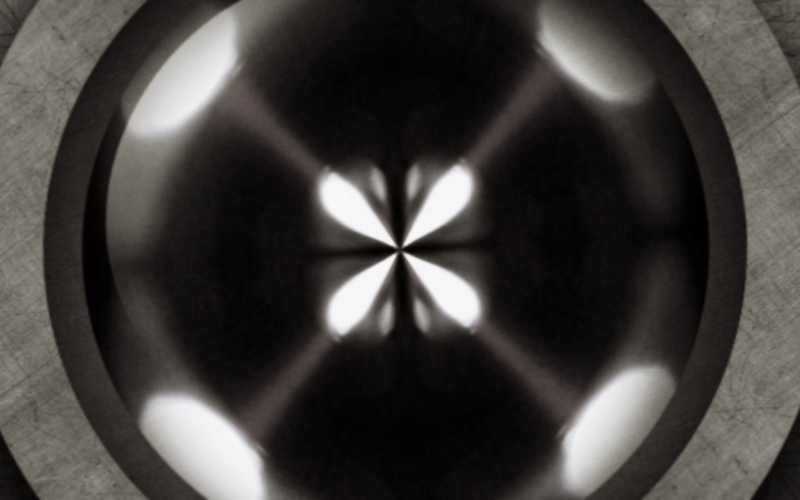 Each performance we do has some small changes and optimisations in it, either from the music or visuals. But for this performance we went deep into the edit and have really optimised the story so we are super excited to show it in such a beautiful venue as the Volksbuehne!! We will be doing our next performance at the lush “Somewhere In The Distance” festival in Brandenburg on July 14th. The festival itself is held in a Fortress so we are very curious and excited about the acoustics (well I, Dave, am anyway!) for this one and also excited to check out some of the other artists on the lineup! 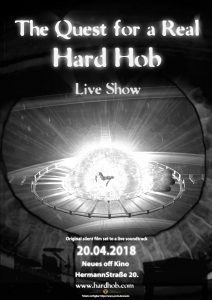 We are pleased to announce our next showing of the Quest for a Real Hard Hob will be at the Neues Off Kino on Friday April 20th. This time we will be doing a Midnight performance in the Kino on the big screen and are very excited to perform the show in such a perfect environment! Since our first screening in October and then more recently at Berlinale we have been continuously developing all the aspects of the performance with the visuals, live music and the story itself! Advance tickets available from the Yorck group website Here. We would like to extend a warm thank you to the organisers of the Berlinale 2018 film festival for inviting us to perform our show. 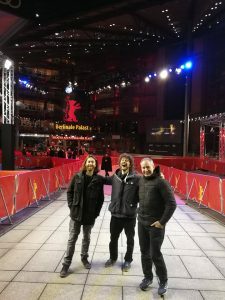 The event was held in the Audi Berlinale lounge right on the red carpet and we were delighted with the reaction! We have more shows to announce shortly as well as some new materials to release in the meantime. You can also follow us on our facebook page and for more bits and pieces our instagram is the place to be! We are delighted to invite you to the first screening of our live show “The Quest for a Real Hard Hob” on Saturday October 28th. This will be the first FULL performance of the audio visual show that we have been working on for a very long time and we are quite excited about it!! The show itself is set in a not so distant possible future and follows the journey of Robot “DECO4” and the stuggle to survive in a harsh world left behind. 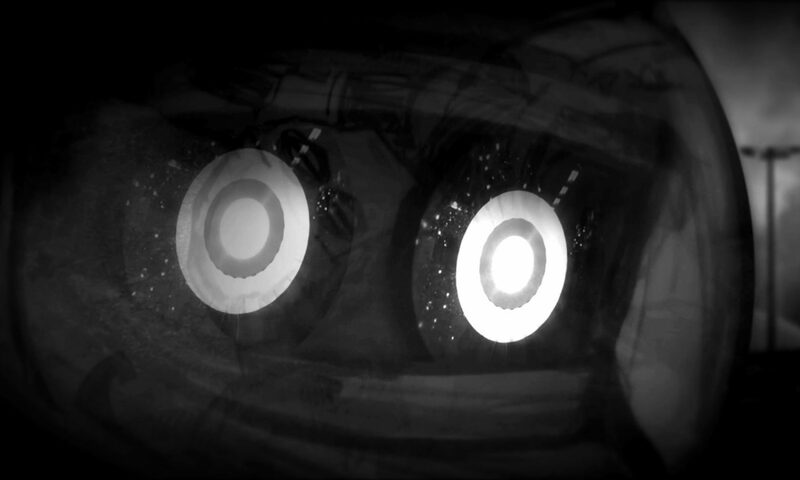 The combination of elaborate visuals and emotive music make this an experience to overload the audience. The performance will be held in the fantastic CRCLR house in Neukolln who have an amazing space to fit our full produciton in! There will be of course a bar also and plenty of space to get the best experience of the music and the visuals. We hope to see you there on the night and look forward to sharing this with you!! It’s a dark night in dilapidated Berlin. The looming clouds part to reveal a dim, dubious and spherical light source as City Redevelopment Robot Deco4, alone and confused in the post-apocalyptic landscape, spots the crumpled, destroyed remains of a kindred droid and begins a panicked dash across the city. 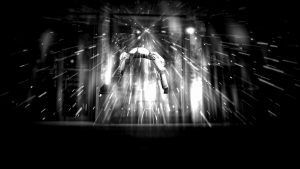 THE QUEST FOR A REAL HARD HOB is an audio-visual journey following the plight of Deco4 as he navigates the dangerous dystopia in his Ozian search for an element, or hob, robust enough to be his android heart. Providing the dramatic soundtrack is a live, four-piece band of accomplished musicians whose thunderous percussion and chest-trembling bass complete the experience, which had the crowd hypnotized from start to finish. Beneath the backdrop of Galiläakirche Friedrichshain’s soaring spires and imposing pipe organ, the Hard Hob team last night delivered Act One of Four of the animated adventure, leaving everyone present desperate for more. Aside from the music, one of the most captivating parts of the experience is seeing the artists’ rendering of some of Berlin’s best-loved buildings and monuments as crumbling ruins. The soldier’s bright image at Checkpoint Charlie is partially destroyed and barely recognisable, and the Sony Centre’s iconic glass ceiling is smashed, splintered and on the verge of risky collapse. It’s exciting to see the destruction of these familiar landmarks, because it reminds us of how fragile these seemingly solid structures are. And if they can fall, so too can we. As for our hero, Deco4, let’s hope there’s not long to wait before we find out if he, at least, can defy dystopia. Big thanks to Natalie at The Horseshoe Nail for covering the gig.